Home / Interview / How to crack bank interview?, SBI, IBPS, Clerk and Officer post. 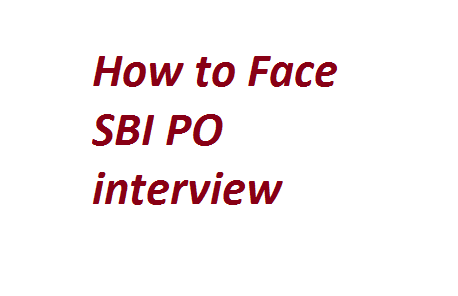 How to crack bank interview?, SBI, IBPS, Clerk and Officer post. It has been rightly said that anybody can count seeds in an apple but only God can count apple in seeds. Though we cannot predict the fate of seed still we can provide favorable conditions for its nurturing into an apple. And this is exactly what we are trying to do. This article will give you some useful tips for how to face banking Interview. So read the tips given below and come out with flying colors. Before choosing any job we need to compare and contrast our strengths and weaknesses in line with the desired job profile and skills. This helps us to sort out our choices and further facilitate our decision-making act if we are getting into an apt profession. For a Bank PO post, managerial and team building skills are judged and for clerical post, customer handling skills are searched. During an interview when we are asked about our strengths then we can relate our strength which can prove beneficial for the bank. For example instead of saying that “I have a good convincing power” we can say “I am good at convincing people which can prove helpful in making them understand and sell different financial products”. As far as weakness is concerned, we should avoid revealing any weakness that highlights our darker side of personality. But at the same time, we cannot deny the presence of weakness so the tact is to speak about it and also show the measures we are taking to overcome it. Our resume is like a platform that represents us officially. So great care should be taken to draft it. It is always better to provide factual information about our past job experiences as bank officials would like to verify our past records plus if we state that we have some prior experience then, later on, we can be asked to prove the outcome of our prior experience in the field. We should study our resume well before appearing for the interview and must also think about points which are not there in the resume and which we can communicate verbally. The experience of handling customers and cash in sales can add weight to our resume for bank jobs. We naturally search the background of the organization in which we wish to work. So before applying, search about the bank well through the website of the concerned bank, its employees, its clients about the history, performance, chairman, MD or any significant event or achievement related to the bank. It will not only help to analyze our growth opportunities but will also help in the interview to show our level of interest and preparation. Before entering into any field we need to have a wide acquaintance with the different sections of the field and task related to them. We are expected to know the meaning of technical terms used in banking like loans, reverse repo, credit rate, CRR, inflation, privatization, SLR, MSR, deposits, bank rate and many more that are mentioned in reference books available in the market. We can also seek the help of bank employees to learn the practical and relevant implications of these terms in various areas of the bank. For any job, we need to keep ourselves updated with all the latest information related to the field plus all round information. Newspapers, Magazines, websites serve this purpose efficiently. We need to be in constant touch with economy and business part of news specifically in context to the bank and finance sector. We can also practice writing important news headlines daily and can just go through our write-ups before appearing for the interview. For example when there is a hike in prices of petrol it affects transportation and as a result, we realize the price hike for all commodities. So a single event affects various other fields. In the same way, we are expected to keep an eye over important national events like satellite launch etc. which are likely to be asked during the interview. In an interview, the first question that we face is self-introduction. We start giving our personal details like our family, education etc. It is recommended to give those details which are not mentioned in our resume. While speaking about our education we should start the description from our highest qualification. The interviewer judges our communication skill via this question. When we are asked about our personal details, it is imperative that we also supply our state or provincial details. Like no. of districts in our state, local language (as for post of bank clerk we need to interact with local customers), names of ministers, governors or the importance of our place etc. When we relate our academic qualification or a job experience in any field, immediately it gives way to this question. The interviewer weighs our qualification, job experience and current salary with bank jobs. He or she analyses that if we are over or under qualified for bank job and makes a rough estimate of our salaries which we draw from other industries and bank. 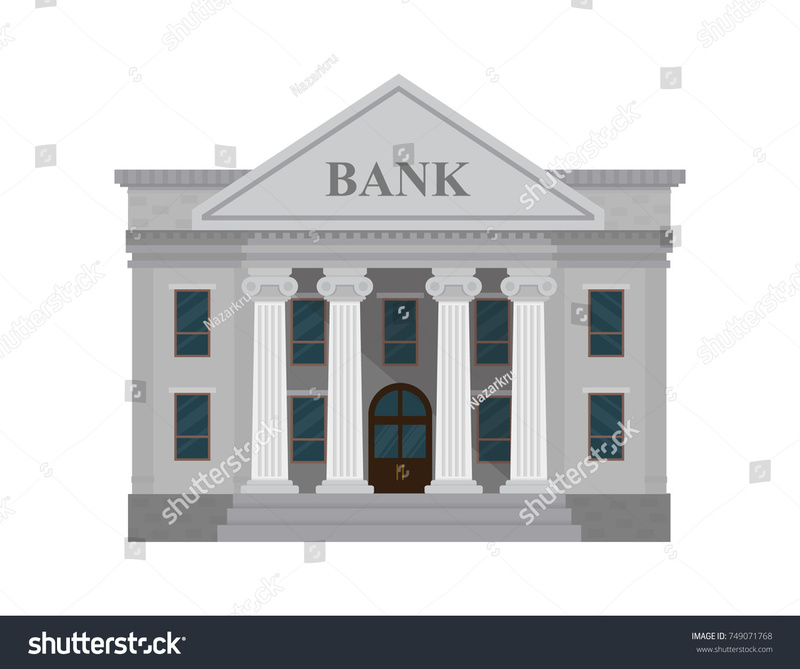 Here instead of bluntly answering that we did not get any other job, we can try framing the answer in such a way that it appears realistic and shows our urge to join the bank. We can speak about the uncertainty of other industries. We can mention how knowledge of other industry if applied to the bank can prove beneficial. We can also state that bank offers the fastest growth opportunities i.e. in short time we can attain frequent promotions. Bank jobs are one of the honored jobs of the country. Punctuality, formal dress up, correct body language, proper eye contact, appropriate voice modulation and above all presence of mind befit us for selection. for facing bank clerical interviews, along with the general points discussed for bank interviews, you need to analyze the bank clerk profile for further preparations. The roles which come under the clerical post and the essential qualification associated with them can guide for the desired efforts. Customer handling skills are prerequisites of this job profile. While dealing with customers you are required to be an ardent believer of the philosophy that “the customer is always right” even if he/she is not. Besides this, you are expected to have thorough knowledge and experience of handling cash and sales. Here interviewer can deliberately create a tense atmosphere to provoke your anger and to evaluate how you handle this situation. Remember in the interview room every step or move has a purpose. Different skills can be judged by creating on the spot situations. For instance, the interviewer can give you any product on the spot to sell. Here your communication, marketing, and convincing skills need to come into the play which can help you to claim your right over the clerical post. Along with the other set of virtues honesty and integrity are of utmost importance. Every transaction is neatly recorded in the bank and as a clerk, you will have to maintain the records honestly. As a clerk, you may have to prepare monthly balance sheets, handle stocks, national and international accounts, enter data or record loan information etc. For all this, you should have accurate knowledge about accounts, mathematics, computer operations and a good concentration power in general. But academically you can qualify Diploma in Financial Services Management (DFSM) which can help you to acquire supervisory management positions. You may think about JAIIB and CAIIB also later on. As a clerk, you can earn from Rs 15,000 to 30,000 depending upon your experience. If you start from the clerical post, you can easily move to post of cashier or other specialized posts. Bank prefers to promote its own employees to higher posts instead of newcomers. The basic foundation of bank interviews has been discussed in detail earlier. Right now just think of how the word “Officer” itself conjures the image of an authoritative personality before our eyes. A picture pops up of a polite, well-mannered, formally dressed, confident in eyes, straight-postured person. If you are applying for the post of an officer, you ought to reflect it in your demeanor. And this is especially crucial when you are facing SBI interview. 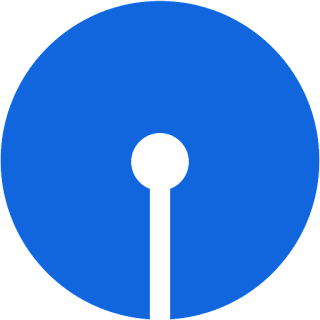 When you face an SBI interview, you are expected to be clear in your thoughts and stick to your words. Your answers must be relevant and sensible. Your patience and calmness in behavior can be tested any time during the interview. The interviewer can ask stupid questions just to see your reaction. It is advisable to react with a smile in such situations. In testing your attitude, the interviewer also tries to evaluate your willingness to learn in the banking field. You can easily prove it by discussing your learning in the field. Skills such as management ability, team building, good communication and conflict-solving approach etc are expected from this post. So the interviewer will look for these skills and will compare them with those of the other candidates. Interesting situations are created during the interview quite consciously to see your presence of mind and attitude. Let's take an instance of a candidate who was sitting for a managerial position. 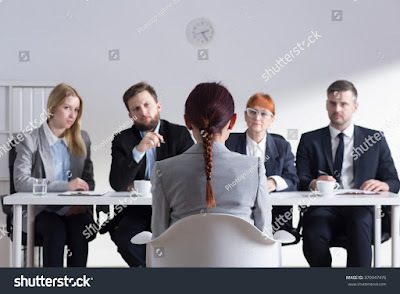 In the interview room, she sat before the panel and one of the interviewers dropped a glass of water on the floor all of a sudden. The candidate immediately rang the bell for a peon and asked him to take it away. She used her presence of mind to deal with a simple situation. You may consult your friends who appeared in these interviews or visit online forums where students share their interview experiences to get an idea of on-the-spot situations. You are also likely to get bombarded with plenty of questions related to banking or current affairs. You can also be asked about rural India initiatives of banks. So do acquire information about these policies. However, it is comforting to know that one of the questions will definitely be about the “Bank PO job profile” as often candidates remain confused about the exact role which they are expected to play as Bank POs. The post or appointment as a Bank PO is the doorway of entering into the officers’ world of banks. Administrative work, general banking like the handling of loans, mortgage, and finance divisions are some of your responsibilities. You may also need to deal with customer complaints regarding charges, discrepancies in accounts, or even in complaints with services at the bank. Along with these responsibilities, you may have to work as a substitution officer for completing pending work in various branches/ fields of the bank until the completion of your probation period. Once the probation period gets over, you become Assistant Bank manager. Then you may be posted in any branch across the country to handle daily customer transactions like cash management, draft issuance etc. The next step in the career ladder is of Senior Manager from where you will be trained for accounting, marketing, finance, investment, and billing. Marketing, budgeting, processing of the loan, investment management etc. are other areas in which you can get the opportunity to work as per your aptitude. Prepositions, How to use Prepositions. General knowledge(GK 2019) Questions & Answers with Explanation (Part 2). Adverbs, Kinds of Adverbs. All about Adverbs. What is the Role & Eligibility of IBPS & SBI Clerk. Everything Explained ! copyright Interview and exam preparation hub All rights Reserved.